Shepherd’s Pie can be healthy. Use ground turkey, lamb or chicken rather than beef. Make your own gravy and mashed potatoes and you have healthy! Make beef gravy: Heat olive oil, dissolve beef cubes, add water and cornstarch and stir over medium heat until thick. Brown meat. Add vegetables and gravy. Put in pie pan. Make mashed potatoes. Spread over meat mixture. Sprinkle with paprika and parsley. Bake 350 until bubble. 20-40 minutes. 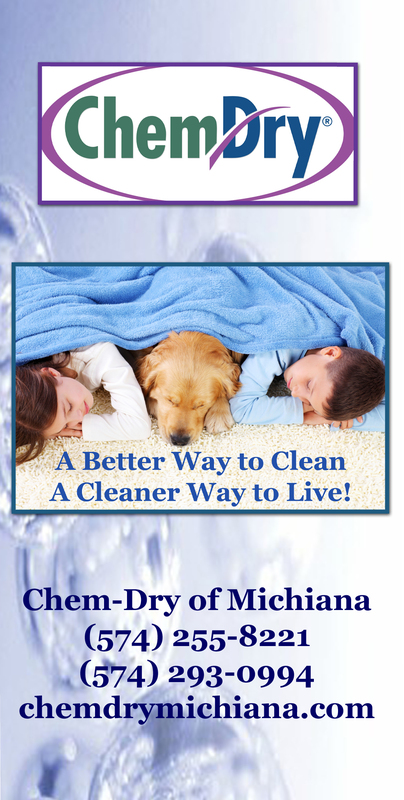 And for more information on a healthy home for your carpet, upholstery, tile or rugs, contact Chem-Dry of Michiana at (574) 255-8221 or (574) 293-0994 or (574) 268-1516. This entry was posted in Maintaining a Healthy Home, Recipes for a Healthy Lifestyle. Bookmark the permalink.